Heroes Emerge from The Wasteland! Trailer here. Website here. Download Game here. SHG highly appreciates the support of IDMF. Special thanks to Minister Michael Coteau & his team for helping us launch our new flagship title! Check out the blog about Minister Coteau’s visit here. Wasteland Heroes leverages our 8 years of industry-leading social gaming, and over the next few months expect to see growth into Player vs Player, Guilds, Social Events, and more! 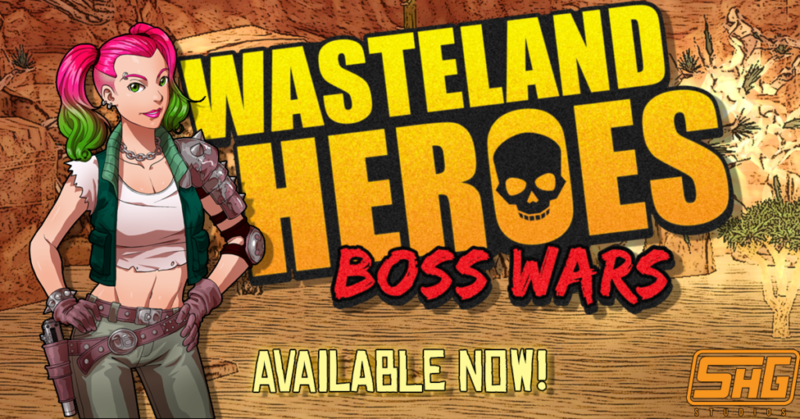 Wasteland Heroes – Boss Wars is available on Android now. The game is free-to-play, with micro-purchases available in-app. SHG Studios develops and manages free, highly social, casual browser based games and mobile social RPG’s. A proud Canadian Software Developer, founded in 2008 as Snakehead Games. SHG Studios has a strong commitment to the social aspects of the gaming community. Other SHG titles include Star Pirates, Zombie Moon, Spy Battle 2165 and Gates of Camelot.